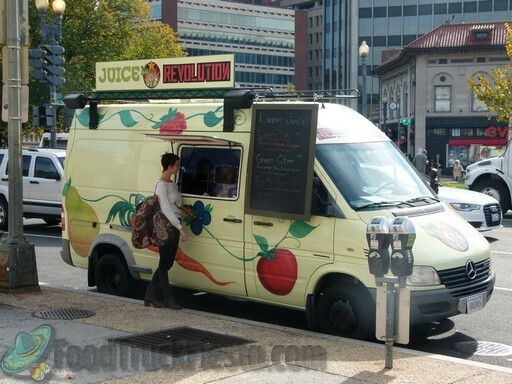 Juice Revolution, DC’s first juice truck, is ready to hit the road at the end of October 2011. 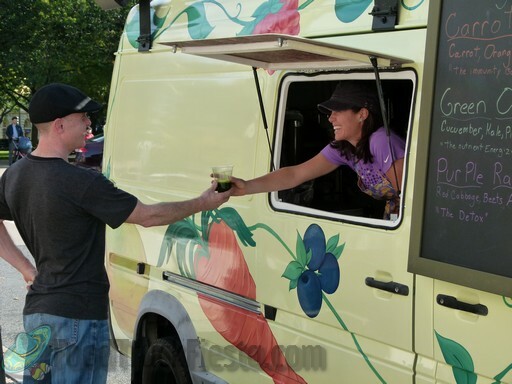 One of only a handful of trucks in the nation that juice fresh vegetables and fruits right before your eyes, Juice Revolution offers a tasty, healthy option for eating in the city. You can DIY your own juice or let the juice experts press a juice in surprising combinations from produce such as ginger, red cabbage, kale, pineapple, romaine, and apples. Juice Revolution works with local farms for in-season produce and much of the produce is organic to ensure the highest-quality, nutrient packed juices. For people looking for a change from their morning coffee routine, Juice Revolution will offer one zesty green morning drink. At lunchtime, you can choose from three premium juices, as well as a wholesome vegetable-based soup. 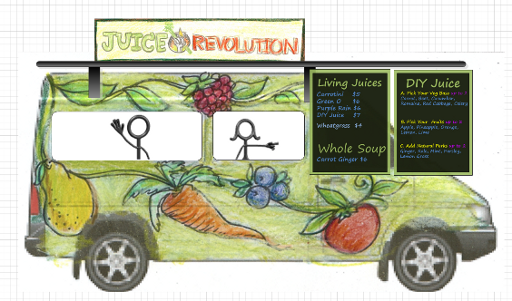 Images are copyright and courtesy of Juice Revolution.